Ad fraud analytics report across over 15 mobile ad fraud types. Enables data driven optimisation levers to identify and block invalid traffic for ROI maximization. 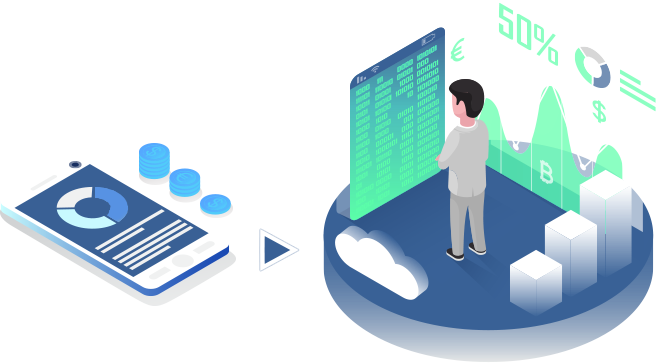 Our core fraud analytics engines comprise of machine learning based models to detect traffic anomalies and ensure higher quality across clicks, installs, events and other customer touch points. Inbuilt library of millions of IPs & sub media channels/ apps - blacklisted & whitelisted on basis of categories, geos, etc. Machine Learning algorithms to detect cyclical & non-cyclical behavioural anomalies. Insights into fraudulent traffic across top sources of fraud. A ML algorithm in action for each reason code. Problem: Networks/ publishers use bots, vpns and simulators to drive traffic & engagement to your campaigns. 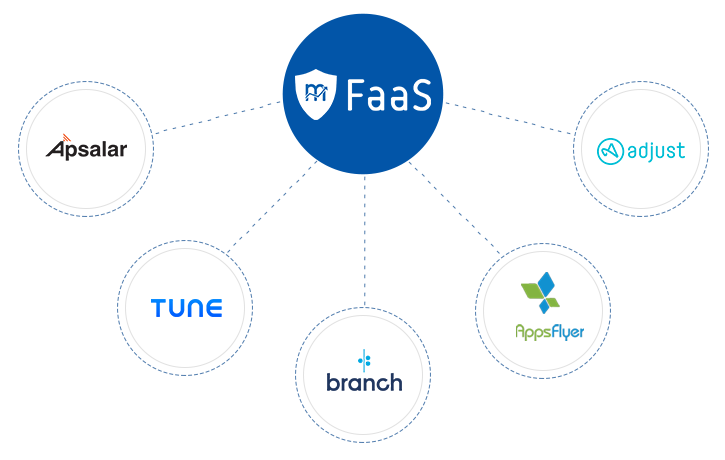 Solution mFaaS detects virtual private networks, bots and simulators basis device based traffic analytics, pattern analytics and through it's various integration 3rd party data systems. Problem: Publishers use fake devices, simulators, etc. to trigger fraud intent signals - impressions, clicks, conversions, events, etc. These are done through sophisticated machines which are able to dupe the last click attribution mechanism of the MMPs through SDK Spoofing, etc. Solution mFaaS is able to read through multiple attributes of the devices - Google Ad ids, Apple idfas, Android ids, imeis, etc. along with other user agent based properties to detect the genuinity of the device/ user. mFaaS SDK can detect motion, angle, usage of device screen, etc. through gyroscopic features of devices. it's ML models detects cyclical & non-cyclical behavioural anomalies. Problem: Publishers drop old obsolete APKs on users devices on redirect or pop-up/pop-under traffic without users' consent or know how. These are unintentional app packet drops which they use to claim false attributions. Solution Detection of app version behavior plus patterns across multiple organic & programmatic traffic sources and comparing it with network channels. The unintentional app packet drops have higher densities from obsolete app packages. Solution Checking traffic pattern inbound for its geo (where it is coming from) vs where it was intended from. Solution mFaaS use various ML based clustering algorithms to highlight incent mixing. Problem: Publishers use IP hopping scripts on device farms or simulators to drive intent traffic towards advertisers' campaigns. Hourly distribution pattern analytics of mobile ad traffic at network & device, helps in identification or surges and drops at abnormal period of the day as compared to what the app business requirement or user behavior should be. Device & Network level pattern analysis helps in identification of density and frequency anomalies. eg. A look-alike app with similar brand identity should show similar behavior in terms of usage patterns and device distribution, etc. in a particular geo. Comparison of frequency of usage of app between channel publishers vs more genuine sources of traffic like google, search, facebook, etc. Problem: Publishers have been able to crack the callback/ postbacks/ clickurl patterns, etc. related to various MMPs SDK in the ecosystem. Now they easily mixup fraud machine based traffic (SDK spoofed) traffic along with genuine traffic to derive campaign downstream KPIs. Solution mFaaS ML algos do a relative analysis at channel level and then analyse the downstream events data too. Every downstream event KPI hit can be analysed and mapped back to it original intent source to perform proper cluster based pattern analysis along the variables like time, sequence, user propensity, etc. Problem: Publishers trigger fake events through the means of SDK spoofing from the user devices. Event when the user install is genuine but he has not completed the downstream KPI within campaign period. For the same publishers trigger false/ fake events from users device without users' intentions. Solution mFaaS detects the same using the user behavior across multiple other events within the advertisers' asset (webpage or app). Multi variate optimisation levers to block & blacklist invalid traffic sources. Configurable rules at publisher & sub-publisher levels with subsequent real- time blacklisting and blocking. Protection against a database of global and local (account level) ledger of blacklisted ips and fake devices. mFaaS works on the data captured by your attribution partner. It is easily integrate-able with all the leading attribution partners and MMPs via means of relevant API keys or global call back urls. mFaaS is a mobile ad fraud detection platform that identifies fraudulent traffic across 15+ fraud types in real-time.